What is the dot in a circle icon on my Windows Phone? One of the troubles with running a dedicated Windows Phone site is that you need to cater to the pro users and the new folks who have just picked up their first device. This post is for them, the new people. It's simply the GPS icon alerting you to the fact that an app at that moment is pulling down your location. Often this will happen with some weather apps that use your at-the-moment location (as opposed to fixed) for the current weather conditions. In fact, in Windows Phone 8 apps that use geolocation information can freely run in the background (e.g. Nokia Drive) and of course apps can run periodically for updates to the Live Tile. Anytime that is happening, you'll see the little dot in a circle icon appear. 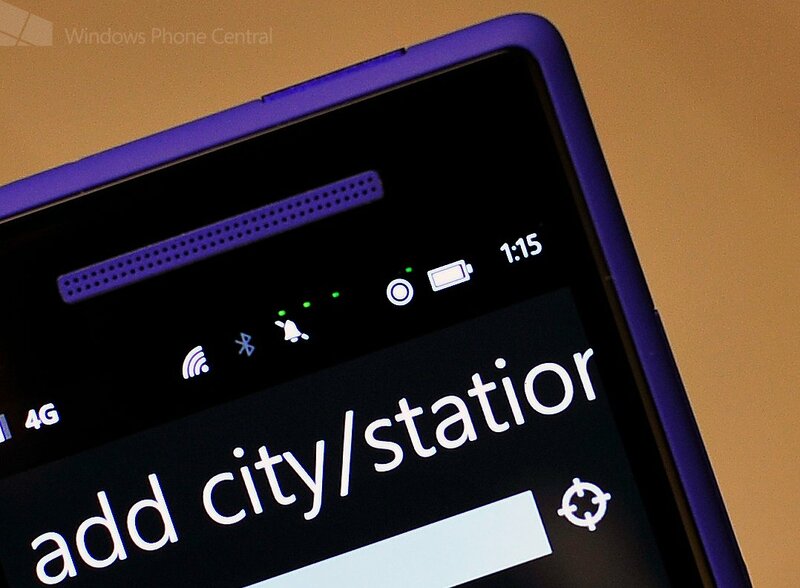 This means you may see the icon when in an app or sometimes just when you are on your Start screen. If it's the latter case, that just means an app in the background is updating and accessing your location at that moment. In short, it's nothing to be alarmed about unless you don't want your GPS services running (you can always disable them system wide via Settings --> Location). Just pay attention when you are setting up an app for the first time. All Windows Phone apps are required to ask for permission before accessing your location, so it's on you to click yes or no. For further reference, you can peep the chart below posted by Nokia. This chart shows all of the Windows Phone 8 icons that may pop up on your phone (including HTC, Samsung, etc. ).